Hello, readers! It’s another gastronomy entry to keep your stomach grumbling for more! So, where are we heading today? I’m thinking somewhere close to home – here in Malaysia. Take a journey with me as we discover the best places to eat in Langkawi. So, if you’re from KL per se, if you ever want to find some cheap Kuala Lumpur to Langkawi flights, you can check out Malaysia Airlines at Traveloka. Since we’re in the midst of prepping up for Chinese New Year coming not so far ahead, Traveloka got loads of cheap Malaysia Airlines flights for you to grab. Head on to their promo page and be amazed! Okay, that’s a bit over exaggerated. Looking for the best fine dining? Kayu Puti is the place! Airline food can be a total letdown sometimes, and I’m not saying this to give some bad reviews to some of the airlines out there, believe me, there are some that are very delicious, but let’s be honest, no airline food is the best compared to one of the popular fine dining restaurants in Langkawi, right? Welcome to Kayu Puti. The name is unique, the place is unique, and even the food is unique! If you’re looking for that sunset scenery and some romantic ambiance to accompany your dining, this is the best spot on the island. It’s pricey, but it’s worth the menu you’ll be getting. They also accommodate some special servings for those who are vegan or gluten-free. Located right on the beach itself, you’ll be dining above the waters like king and queen. 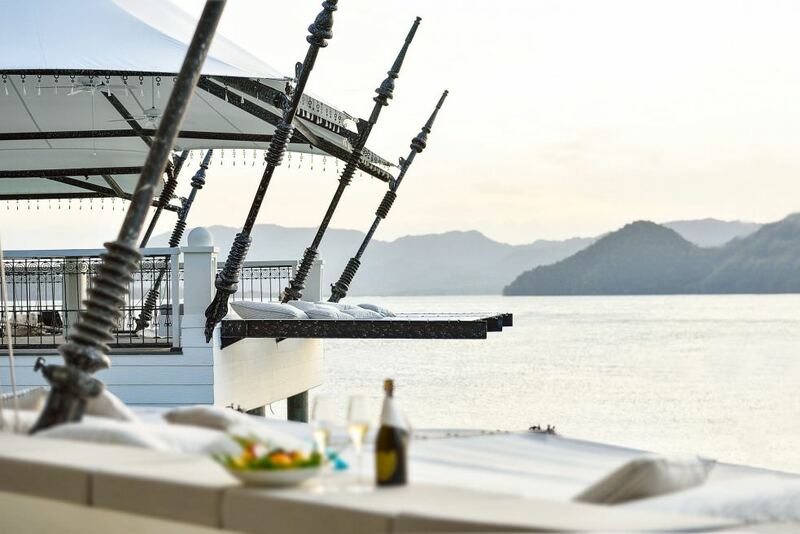 Address: Jalan Pantai Beringin, Langkawi, 07000, Malaysia. Let’s skip the romance in fine dining and jump to local cuisine; Pia’s The Padi have some of that! Ahh, there’s nothing more delicious than tasting the local cuisines, right? 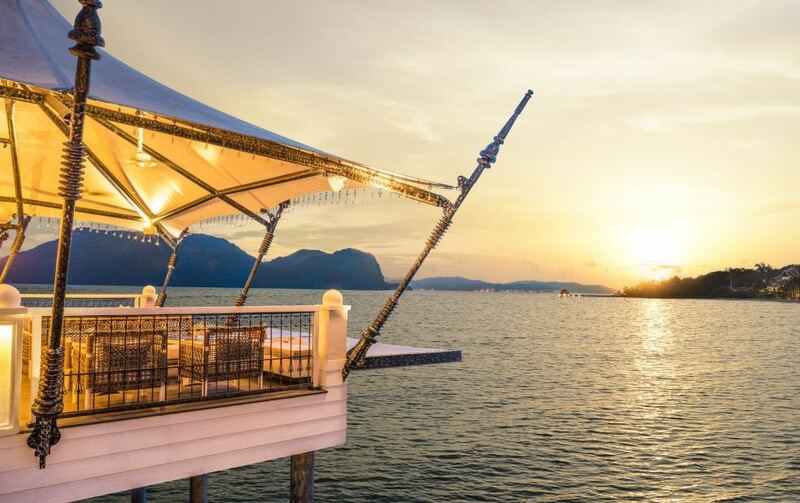 Here in Pia’s The Padi, you won’t just be getting the traditional Langkawi food, but the location itself is traditional itself! 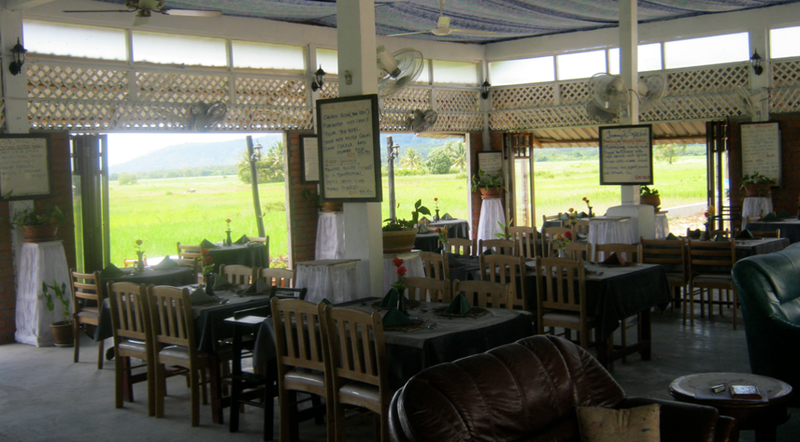 Whenever you drop by and have some lunch here, you will be greeted by the dancing padi fields and open space where there is nothing but the clear blue sky in front of you. So, peace and quiet? CHECK! Traditional food? CHECK! Cheap and affordable! DOUBLE CHECK! So, some of the local food they provide at the restaurant includes Indian cuisine, Asian dishes, and Malay originals. You can say you’ll have a lot of options to choose from. Still, way better than the airline AND the airport food. Did I mention it’s cheap? Address: Jalan Ulu melaka, Langkawi, 07000, Malaysia. Hunting for something cheaper? Cactus Restaurant and Melayu Malay Cuisine Restaurant Pantai Tengah are your picks! Come on, who are we kidding? We all run to the first cheap restaurants we can find when we’re out traveling, BUT they have to be equally as good, right? We wouldn’t want to get diarrhea or food poisoning during our holiday trip, that is the worst kind of sickness to have when you’re traveling, trust me! So, if you’re on a budget, but still wanting the graceful taste in your tongue, you can head over to Cactus Restaurant or Melayu Malay Cuisine Restaurant. They are cheap, delicious and super cool in terms of their environment. Let’s start with Cactus Restaurant; they serve the best of Chinese and Asian food in town. You can also get the best seafood if you’re one of those seafood avid. The presentation of each meal is also delicate and in par with a first class dining experience. I might be giving them too much credit, but I do believe their service is one of the best in their league. Address: Lecco, Langkawi, 07000, Malaysia. Next up is Melayu Malay Cuisine Restaurant Pantai Tengah. One way I can put it into words is that it is simple, down to earth and moderate with a dash of local spice to it. The restaurant itself brings you the ultimate nostalgic of back in the days with wooden floors, ceilings, and pieces of furniture. The presentation is simple and modest, but the portion is adequate to your liking, I reckon. 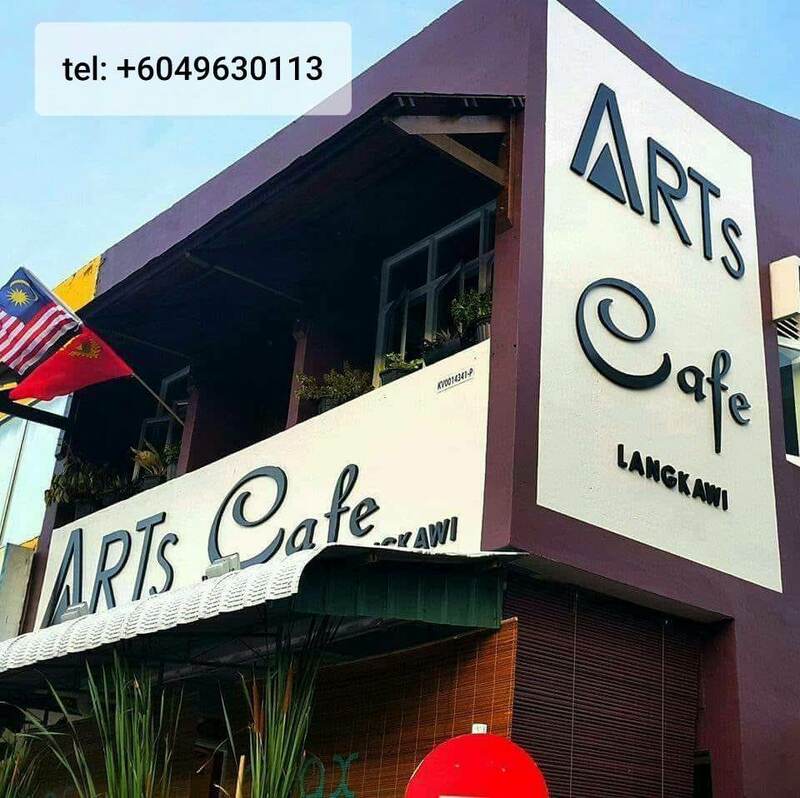 It does not only serves local Malay cuisine despite the name, but they also have Asian specials, grill menus and fusion experiments that will surely add some favorites to your list. The place is family friendly, so, if you are bringing your kids along, it wouldn’t be uncomfortable for them to enjoy their dinner as well. Address: Jalan Teluk Baru, Pantai Tengah, Langkawi, 07000, Malaysia. Alas, what’s the best way to end your hunt with some sweets and delicacies from Langkawi, right? At this art-oriented cafe, you will not only be amazed by the decor in the cafe itself, but the decor at the food they are presenting is – well, ARTSY! Whether, you are going for breakfast, lunch, dinner or anything in between, they will not disappoint. So, do you want cake? Come on down here. Do you want pizza? Come on down here. Do you want steak? Come on down here! Do you what is the best part out of all this? It’s still affordable for those on a budget trip! Before you think of chasing your next flight home, don’t forget to stop by and taste some of the artistic magic they served! Address: 54 Jalan Pandak Mayah 5, Kuah, Langkawi 07000, Malaysia.